Victoria Higgins was not in the mood to have her black 2005 Ford Mustang repossessed. So she allegedly shot at the two repo men who went to her Mohogany Boulevard home in the Mondex Tuesday, forcing them to flee. Higgins, 41, was arrested on two counts of aggravated assault with a deadly weapon and booked at the Flagler County jail. The counts are third-degree felonies, which means she could face up to five years in prison if convicted. Robert Archer and Justin Jones, both 29 and both of Palatka, had gone to Higgins’s residence at 5170 Mahogany Boulevard at about 1:30 Tuesday afternoon to repossess, the vehicle, according to Higgins’s arrest report. The car was in the driveway. As Jones was backing a tow truck into the driveway, Higgins “exited the residence out of the front door with a .22 caliber bolt action in her hands and advised [Jones and Archer] to leave her property. Jones told police that Higgins pointed the rifle directly at him, at which point, according to the arrest report, he got into the tow truck and started to exit the driveway. Archer told police that before he managed to get into the tow truck, Higgins “fired off a single round into the ground in the general direction” of the two men. Both told police they feared for their lives. They fled. Higgins drove away from her home the Mustang and was later located walking near the intersection of Papaya Street and Mahogany Boulevard, according to the Sheriff’s Office. Flagler County Sheriff’s deputies recovered the gun and the Mustang at the home of Higgins’ mother-in-law on Candleberry Street. The gun was located under the back porch of the home. The car was in the woods. Higgins posted $10,000 bond and was released. 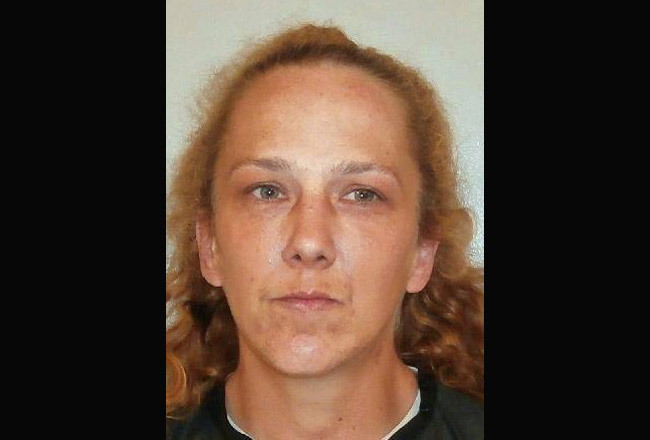 Her previous run-ins with police in Flagler County have never been worse than traffic infractions. It’s NOT the Mondex! It is the Daytona North Subdivision (or something along that line). The very use of the word “Mondex” to most of the people in Flagler County summons up visions of lawlessness. There is a tremendous community here! The majority of us don’t live in *THE MONDEX*. We live in Daytona North. Would you please not continue branding all of us with the same label. I LIVE IN DAYTONA NORTH! Thanks, and here’s a hug (). Sorry David. We usually include the line also known as Daytona North. But we also refer to it as the Mondex because that’s how the area is commonly and widely referred to. What the heck difference does it make? It’s still the same area – same people – same perception. Well, Mr. Campbell – there are very few decent people even in the Daytona North division. I happen to be one of them – looking to move out because of the magnitude of disgusting, life leaching criminals that are out there. So, I don’t think Flagler live is branding anyone – they are merely identifying what is obvious. Angel do you read the news much? MONDEX doesnt have the home invasions, armed robberies, gang activity, and all the rest of criminal activity that goes on in Palm Coast. Has anyone every been shot and killed that worked at the Country Store during a robbery? Have they ever taken down a group of gang members that have relocated from up north, in MONDEX? Mondex may not be the nicest place in the county but it is probably one of the safest. And where does it say the mother-in-law had any knowledge of or complicity in illegal behavior? There’s no indication she was even present at the property at the time of the incident! The lynch mob mentality in this town is getting ridiculous…it’s become shoot ’em all and figure it out later. how does she have anything to do with it. ? she isn’t responsible for paying my aunt and uncles bills. so I ask again “gator” why does she deserve to get in trouble with the law also? I think it’s becoming more commonly referred to as Daytona North. THANK YOU David R Campbell !!! I am tired of the press calling it the “Mondex”! There is no such place! It would be like calling Palm Coast, ITT! FYI, Mondex was the owner of the properties. Actually, Hidden Trails was the name for the area in the first place. I think it’s sad, and sadder still that other people love it when people get into trouble and want to see even more people get into trouble. Why would you want her MIL to get in trouble??? I’m quite sure if she were at fault in any way, she would have. No way I’d ever move to the Mondex if this type of stuff is happening. Its been “Mondex”for many many years and should stay that way. Where in the hell did the name Daytona North come from? Daytona is 30 miles away!!! If people would get a job and pay their bills, the repo men will not show up. Shame on you for shooting at someone DOING THEIR JOB! Who cares what they call it out here-The more important point is that WORSE happens ALL OVERPalm Coast. There are a lot of good people out here, and there is also some “redneckery” that happens, but for the most part, is just a country community. It is built on top of the old “Deen Farms” and I swear, the pesticides used in farming are coming in through these ppls wells and causing all kinds of contrariness….lol……and yep, STEVE CLAIR for SHERIFF works for me, too! Mondex was the parent company that developed Hidden Trails at Daytona North. There is no plat named Mondex. If the reporter for Flagler Live did some research, he/she would know this. I have lived in Daytona North since 1981, and dislike it when our community is referred to as The Mondex. Thank you David for bringing this to light. To repeat: an area is not referred to exclusively by its platted or bound name in musty county books (or their digital equivalent). Some of you may not like the nama. But it’s how the area is also known, just as Hell’s Kitchen was not the official name of that section of Manhattan’s west side. But is is now, and it’s a hell of a more poetic name than “Clinton” (just as the Mondex has a more telling ring than that ugly import, Daytona North). We also don’t refer to Palm Coast’s P-Section as “Pine Grove.” No one would know where that is. We call it the P Section. I’m sure the Tories among you would have complained in the old days over the spelling of “color” without a “u.” But language and place names are not and should not be tyrannized. If the repo man could shoot back people would stop and think about shooting at them!!! It’s a dang sham that grown people act this crazy. If you would pay your bills you would not be on the repo list .those repo men have family’s and children. And they are only doing their job. Get off your dead behinds and get a job or do your job and pay your bills. If you can buy a gun you can pay your bill. I’m just saying. I mean is it really worthe going to jail and facing time over a car? wow! how does reading about a car being repoed, the repo men being shot at, and them fleeing for their lives have anything to do with the proper name of a city? who cares!! the mondex, daytona north, the farms! whateva! everyone knows what a person is refering to when using any of those names; when actually on the map, “its bunnell” zip code 32110, to get technical-who cares!!!! glad those guys didnt get shot and made it home to their families safe. as for vicki, she probably just “snapped” financial problems tend to get the best of many people. Why not just call it Miami North? Think of all the business it would bring in, not to mention wayward tourists looking for the famous Miami beach and the man who met Andy Griffith. So they put her in a squad car, as she yelled “ GOODBYE HORSEEEE !!!! We bought a lot off Avocado Blvd. more than 15 years ago. Have met some great people (Bud Freeman, Steve and Caprice Williams, pastor Bill Turner), all of which watch our place and help with maintenance due to our living out of state. The are has great fishing, beautiful motorcycle views, and excellent county recreational facilities. I served the public for 36 years as a fire officer in Georgia and have spent many weeks here. I would not be embarrassed to state I was a full time resident at all.